Ben's Jammin' Art Project; created in the memory of Benjamin Cocco whose passion was art and music. His life was an art project. Creating was like breathing. It is our goal to nurture this passion in other youths. At this time Ben's Jammin' Treasures has closed its location and is looking to relocate. Ben's Jammin' Art Project is housed in Ben's Jammin' Treasures. Please email Bensjamminartproject@gmail.com if you have any questions. Thank you. Please call or email for a schedule of classes. If you are an art teacher please let us know of a class you may like to teach. If you are a student and have something special you would like to learn, please let us know that too. 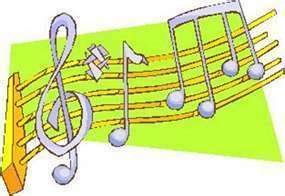 Music and art nurtures the human spirit, enhances academic performance, increases self-esteem, teaches team building, and promotes social skill development. Music and the arts are as essential to a well-rounded education as science, math, and literacy. It is our goal to help our youth find enjoyment in the arts and to help them excel to the best of their abilities. We will work toward our goal using three approaches to be accessible to as many students as possible. Ben's Jammin' in the school. Ben's Jammin' in the community. Ben's Jammin' in the individual lives of youth. Support local youth with your donations!! Bring them by the studio. and paint, draw, and create! Ben's Jammin' Treasure an artisans boutique. We are currently looking for volunteers and art donations. The more volunteers and donations we have the more frequently we can open the creative play time. Artists are needed and welcomed. Please send us an email we will get back to you. If you are an artist or musician and are interested in volunteering or teaching a class. Supplies. Help us outfit our Exploration Station!! All types of paint, brushes, paper, modeling clay, clay, tools, play dough, glue, sparkles, scissors, googly eyes, pipecleaners, beads, jewelry supplies, pom poms, foam art, etc. Art/craft supplies. 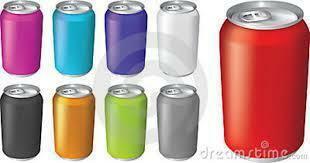 We are collecting empty bottles and cans for recycling purposes. All donations can be brought to the back of the boutique. Proceeds from the cans will go toward finishing set up in the art studio and toward art supplies. If you have to many we can pick them up. Please leave us an email to make arrangements.